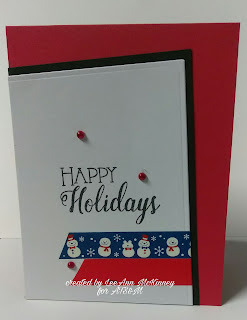 Greetings friends and fellow crafters, LeeAnn here today with Addicted To Stamps and More Challenge Blog with Challenge #253, Holiday Theme. Today's post was made with card stock, 1 die, washi tape, 1 Joy Clair stamp and 3 pearls. Love the clean and simple that comes out of my craft room sometimes. First I used a Red card base made of Recollections 110 lb card stock. I then took black and white card stock of the same brand, layered them to fit and put them through my big shot one pass with one die to cut on the angle. I checked my washi tape collection for two that looked good together for this project, and then adhered them. The sentiment is stamped in Memento Black with a Joy Clair stamp from the Merry Christmoose Set. I followed that up with 3 red pearls and my project was complete. I hope you have enjoyed this project. Thank you for stopping by, your comments are valuable. Sweet!!! The layout is beautiful and that washi, OMG, so darn cute. Oh my stars! How cute is that washi tape! Fantastic and festive! What a fun card and that is such a great way to use washi tape. 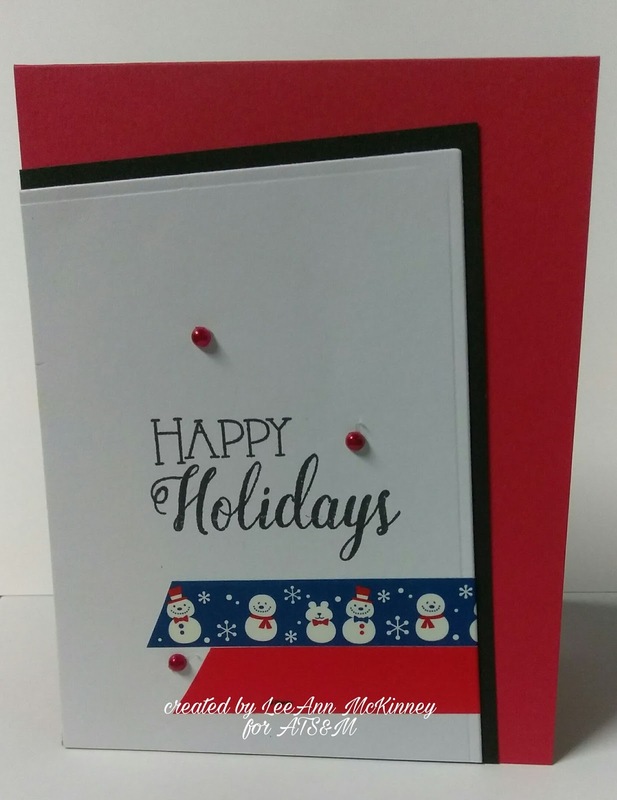 What a fabulous card! Love the washi tape (which I always forget to use...lol) and that funky angle of the focal panel!